Hi guys! 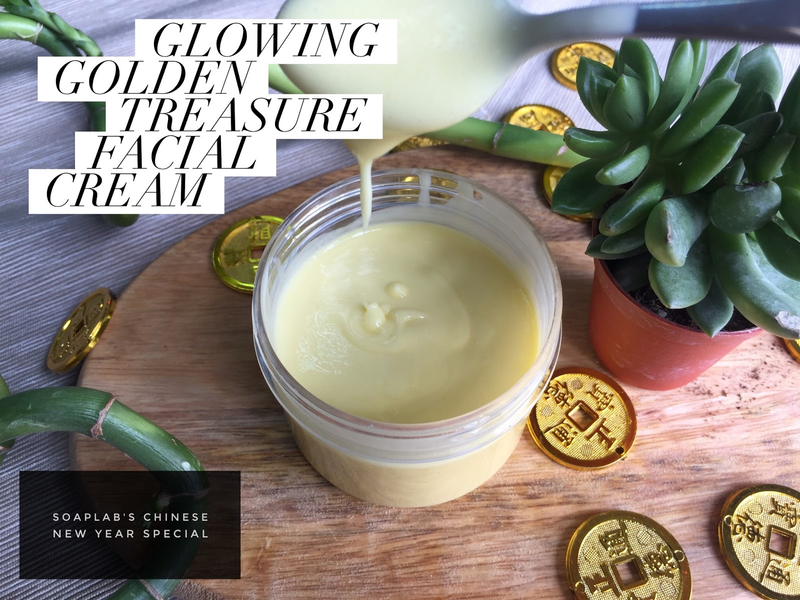 Today we have a recipe for face cream created especially for our CNY recipe range. This cream will give you a fresh glow you will surely love. First, we use SoapLab's cream base to begin with. We then add two citrus ingredients to brighten your skin and supply all the vitamin C it needs. Oranges, lemons, limes are the fruits that belong to the citrus family. In this recipe, we use lemon essential oil to brighten and provide the antioxidants that keep you looking young. Not only that, we even add in some extra Vitamin C and lemon extract to help fight aging. When you use this, trust us that your skin will glow and feel great throughout the festive season! The uplifting citrusy scent will surely put you in the mood of the festive season.